Americans generate about four and half pounds of solid waste every day. Three pounds of that is organic: yard trimmings, paper, wood waste, food scraps, etc. Most of this organic material goes into landfills where it produces lots of methane, a gas that is 23 times worse than carbon dioxide at trapping heat in the atmosphere (according to the EPA). And the organic matter that remains after the methane is gone is entombed forever, unavailable for the production of new plant life and often rendered toxic by exposure to chemicals and metals in the landfill. 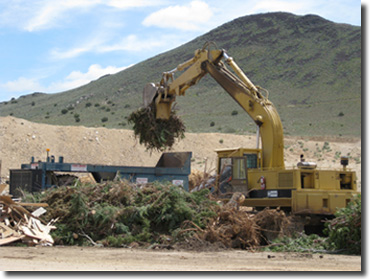 Northern Nevada has very little history of diverting this valuable resource from the landfill, particularly material that does not lend itself to conventional recycling, such as yard waste, food waste and manure. At the same time, the region has some of the most organic deficient soils in the west. 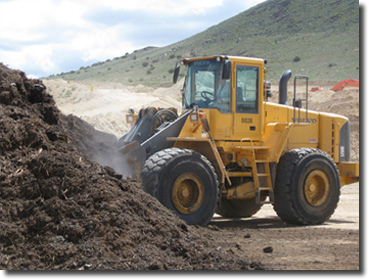 We think we see an opportunity here, and have worked with the local Health Department to obtain the first commercial-scale composting permit issued in Washoe County. 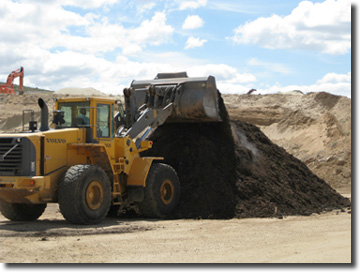 Our permit allows us to collect organic waste from residential and commercial sources and to process it into finished compost that we market to consumers. The composting process is monitored by the Health Department, and our final product is subjected to analytical testing and approval before each "batch" is made available to the public. Composting is part science and part art. We are constantly learning and improving our process to create the best product in the most efficient way possible. We hope that eventually the vast majority of the organic waste generated in Northern Nevada can be diverted from the landfill and into our local soils. We also hope to eventually make a modest profit doing this. Time will tell. We welcome your help in this project, both as a source of feedstock and as a consumer of local compost. 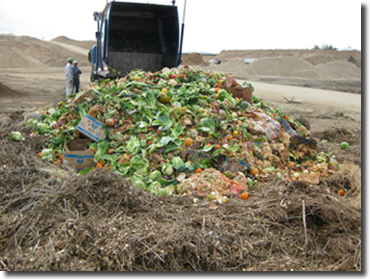 Up to now over-ripe fruit and vegetables in the Reno - Sparks area have been land-filled, wasting valuable organic material and generating greenhouse gasses, in particular methane. A wide variety of feedstock provides a wider diversity of organics and minerals which improves the composting process and the final product. Once material has been ground it is combined with other feedstocks in order to achieve a proper mix of carbon and nitrogen a desirable bulk density. Note the steam rising: evidence that the microbes are already at work. The final mix of feedstocks is complete, and the first batch is ready to go. 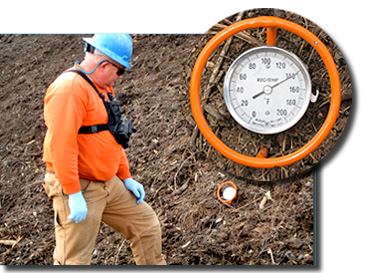 The windrow will be monitored for temperature, moisture, and oxygen levels as composting proceeds. The windrow will be turned regularly to create a homogenous product, and water will be added as needed. Checking the temperature of the newly completed windrow. This thermometer has a 36" probe for reading temperatures deep in the pile. Shortly after construction the windrow has already reached an internal temperature of 140F. Later it will get considerably hotter. High temperatures serve a number of purposes, including the destruction of potentially harmful bacteria and weed seeds, as well as speeding the breakdown of organic material. Much of the larger pieces of feedstock visible in this photo will be consumed by bacteria and fungi during the composting process. What remains will be screened out of the final product and reused in a future batch.